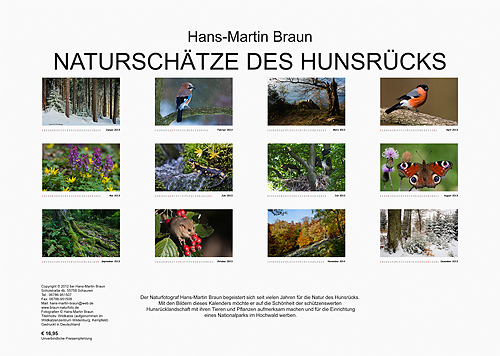 Time for Christmas is the calendar “Natural treasures of Hunsrück 2013″ appeared, by Hans-Martin wants to promote the establishment of a national park in the high forest. Onto 13 Size sheets 42 x 30 cm presents a cross-section through the nature of the high forest. 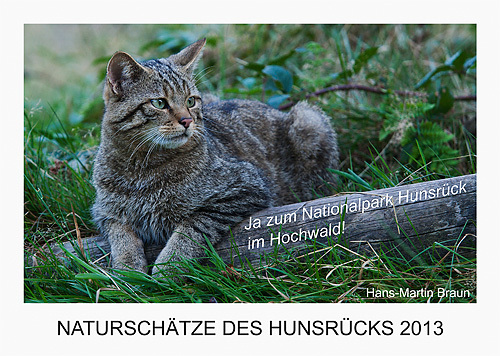 The calendar is in regional bookstores and directly from Hans-Martin for the price of 16,95 Get €.